President Trump campaigned on the promise made over and over again at his rallies to “build the wall.” And those who voted for him expect exactly that. But he has been meeting resistance in the form of his own party in Congress. Establishment Republicans in the House and the Senate have been back burnering the wall ever since Trump won the election. And this is unacceptable. Politicians who make promises while running for office must keep their promises. The GOP members of the House and the Senate have Trump to thank for their majority. And they won their elections because America agrees with Trump’s agenda, including the building of a border wall. 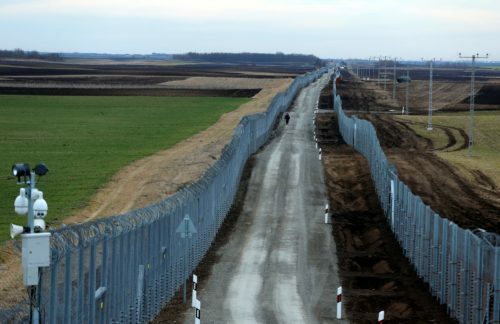 But while we wait and wait for Congress to get off their keisters and make it happen, Hungary has gone ahead and built their wall/fence. And guess what? Illegal immigration is down 99% in Hungary. The double fence, barbed wire, soldier guarded barrier is close to 100% effective in controlling the border. Hungary has been trying to handle the massive wave of illegal immigration to Europe like many other nations have. Notably Germany and Sweden have put virtually no limits on the immigration flood and many other nations like Italy, England and France have been trying to control it somewhat, but have been losing the battle, as we can see by the number of terrorist attacks and the huge strain on the economic and government systems in these nations. But Hungary, in a bid to maintain their identity as a nation, built the fence. And it is working. 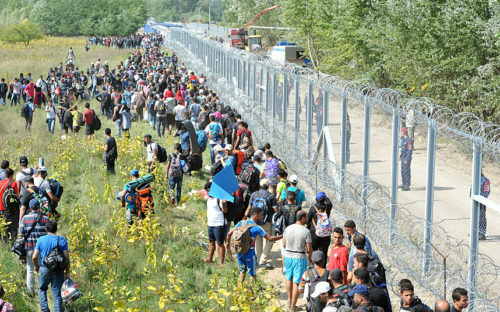 “The system of technical barriers is the key to the success of border security, and without it, it would be impossible to stop the mass arrival of immigrants,” Chief Security Advisor, György Bakondi, explained. Meddling Hungarian born billionaire George Soros has long been in favor of mass illegal immigration and destroying national sovereignties in Europe to usher in Socialism or worse. And the UN has also criticized the fence. But Hungary’s Prime Minister Viktor Orban isn’t having any of it. And in a speech given after Hungarian citizenship requests had reached one million, the Prime Minister said, “As long as I remain the prime minister, the fence will stay in place. We will protect Hungary and Europe. We can never be in solidarity with ideals, peoples and ethnic groups who set out with the goal to change European culture… because the end result is collapse. The fence works. The US border wall will work too. It is time to get it built and stop playing with immigration fire. We’re talking to you, Congress.